Today, our interview is with author and journalist Michael Cervin. I first met Michael in January 2008, on the International Food Wine & Travel Writers Association Conference at Sea. We have since been on several media trips. 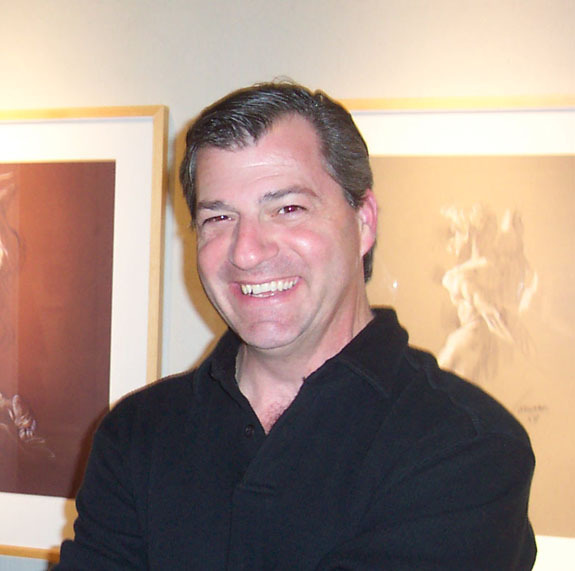 I’m happy to say, that Michael has been elected to the IFWTWA Board of Directors starting 2011. Michael’s background and experience is interesting and varied. I think you’ll enjoy this interview. Maralyn: Please introduce yourself and share some of your background. Michael: I’m from a small town called La Canada in California and even as a boy, I was always creating stories to go along with playing with my GI Joe, Matchbox cars, and army men. I was an actor for a while (Grace Under Fire, 3rd Rock from the Sun, Young and the Restless), but have always been writing. 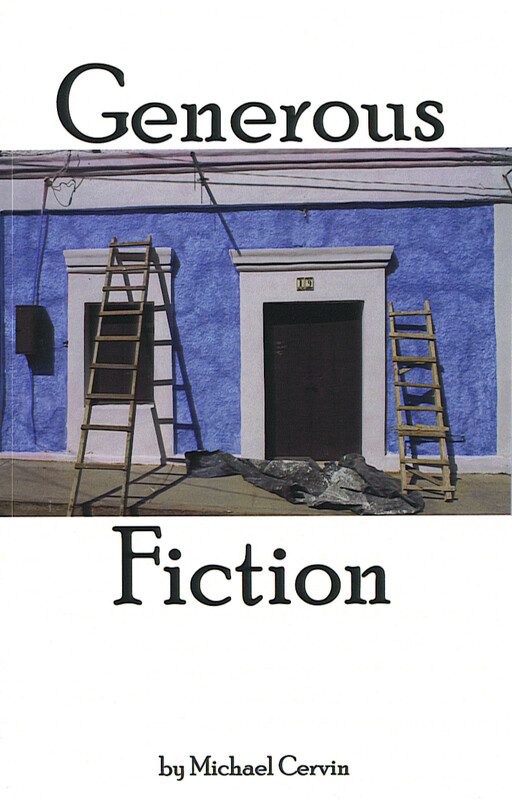 Four of my plays were produced when I lived in Los Angeles, several of my poems have been read on National Public Radio, and have appeared in a variety of journals and magazines. And, of course, I have written thousands of articles for over 70 publications. Michael: My latest book is a travel book called Santa Barbara & The Central Coast, published by Moon. 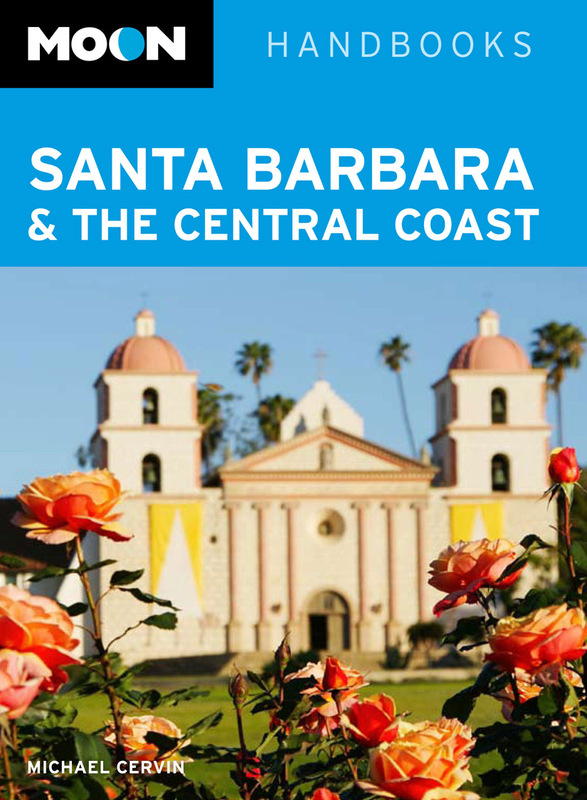 This is a comprehensive guide to visiting Santa Barbara, San Luis Obispo, Paso Robles and Ventura and includes the best things to see and do, where to say and eat, and features the wineries of the region. Michael: Have a plan. Without a roadmap, even the most talented writers won’t get anywhere. Know what you want to accomplish and set out specific, detailed steps to get there. It’s a myth that if you’re good you will rise to the top like the proverbial cream. Writing is a lonely profession, and it takes immense focus and a belief in yourself, and you must promote your work vigorously. At least half my time is spent, not writing, but promoting my writing. With all of your projects, compromise as little as possible. Without integrity your writing won’t really matter. Second, get involved with others in the industry. I have become actively involved with the International Food, Wine & Travel Writers Association which includes press trips. I get to meet other writers, share advice and stories and build relationships. Don’t be a loner! Michael: My very first poem was published, and I was paid, when I was 14 years old. But going back even further, I still have school journals and stories from when I was in the second grade. Occasionally I look at these and it reminds me that telling stories has always been part of my DNA. I didn’t get serious though until 10 years ago. Now I have a body of work that stands on its own, including a book of poetry, Generous Fiction, a soon to be released collection of short stories and three travel books. Maralyn: How did you publish this book? Michael: Moon publishing is part of Avalon Travel, a large publisher with more than 30 years experience and hundreds of travel books. Maralyn: If with a traditional publisher, how did you find them? Michael: I had submitted a proposal to write a travel book, which they turned down. Frankly, they were correct in doing so, as I was not the best person to write the book. I did the proposal mainly to get on their radar, and it worked. So when the Santa Barbara book came along, they already knew me. Michael: Writing to me isn’t difficult and I’ve never had writer’s block. The difficulty is really in keeping so many projects, pitches, ideas and stories organized since they are all at various stages, and not letting them fall through the cracks. Maralyn: What is your approach to work? Michael: Mornings are most productive for me. I aim to be at my desk about 6 AM. After a few hours, I’ll workout (run, cycle or power-walk). Then it’s back to my desk until noon. As the restaurant critic for the Santa Barbara News-Press, I’m out to restaurants to review them often and lunch times are set aside for that. Then it’s back to work until around dinner time, where I take a much needed break and make dinner for my wife. It also provides a nice creative outlet as well. My wife works evenings, so it’s usually back to the desk until 9 p.m. or so. Throughout the day, I take breaks where I get outside and walk and stretch, play with the cats, and try not to think about work. Michael: The most important lesson for me was that I lost a significant portion of my book when my flash drive failed, and I had no back-ups. This happened three days before my first deadline! If you learn anything from me, back up everything and have redundant copies! I had to work 15-hour days, seven days a week, to re-create what I had lost and it was a miserable experience. A writer friend of mine told me once, “It’s not if, but when,” and she’s right because computers will fail. Stop reading this and back up your work now! Maralyn: Who are your favorite authors and what is it that draws you to them? Michael: I don’t believe in favorites, but the one work I consistently turn to is Leaves of Grass by Walt Whitman. It’s something I read aloud to feel the cadence and rhythm of language. I have to confess that I don’t often have time to read. As busy as I am, the luxury of reading a book happens maybe once a year. But I love Swedish poet Tomas Transtromer and American writer William Langewiesche; their skill with language makes me want to be a better writer. 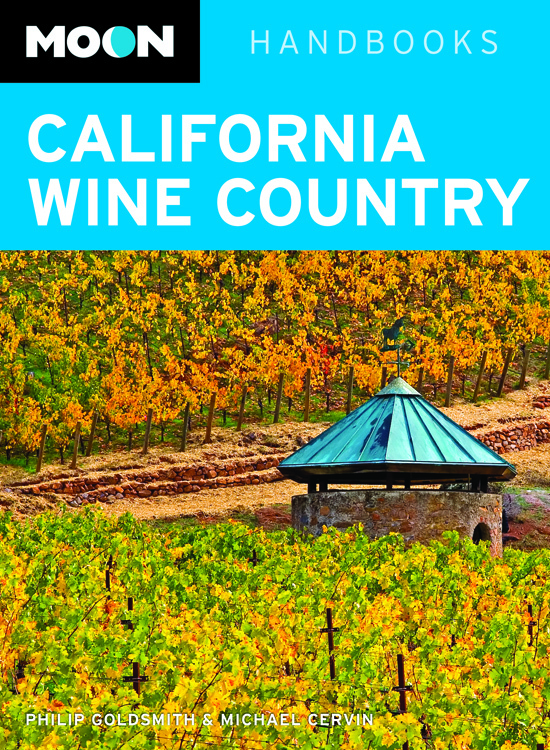 Michael: My next book is also a travel book, slated to be released nationwide in May, 2011, called Moon California Wine Country featuring wine destinations in California including Monterey and Carmel, Santa Barbara, Napa and Sonoma, and the Sierra Foothills, among others. About the same time, I’m self-publishing a collection of short stories called Blunted by Lunacy. Michael: Whereas I have an in-house publicist for the travel books, you can never rely solely on them. I crafted my own press release and sent it out to every magazine, newspaper, and blog, large and small that I can, including free press releases. I have also diligently pursued the radio market, racking up many interviews of national, regional and local shows. I constantly utilize social media to keep the name out there and will be starting a dedicated blog. And of course I visit local stores, and many of them now carry my book. All of my books are always in my car in case I meet someone someplace (the last time was at a wedding) who wants to buy a copy. Also, I have business cards with my books listed on the back, so if people want my card, there’s never an excuse for them to forget the title of my books, and perhaps they will order a copy down the road. Michael: I am at www.MichaelCervin.com, and my food/wine/travel photo-blog is www.CervinItStraight.com. Personalized signed copies are available at both these sites. My books are available at bookstores nationwide and their on-line outlets specifically at www.Amazon.com. I hope you enjoyed Michael’s story and insight. I’ve gained many tips from our conversations. He is frequently on Around the World Travel as well as other radio programs. I’ve found is organizations skills with his writing inspirational. Thanks for commenting Brenda. It is nice to see more background on someone you’ve met. Michael is going to be a great asset to the IFWTWA Board of Directors.